Toyota make a full range of cars and vans including some of the most popular cars in their range, such as the Toyota Camry. 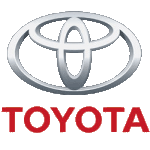 At Little Green Car we've got some great Toyota lease offers. You'll find more than one offer on the same model but if you don't find the Toyota lease deal you're looking for please contact us.